The 2015 season of the Shillong Premier League Super Division is set to kick off on Thursday, 3 September at the city's Jawaharlal Nehru Stadium. 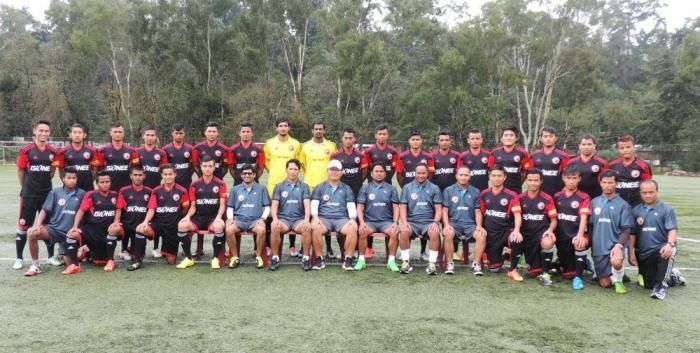 After winning the title with their youth team last season, Shillong Lajong will once again look to repeat the feat, with just two players of more than 22 years set to feature this term. The defending champions have been left weakened this summer with most of its squad members having joined Indian Super League franchises on loan until December. However, with a handful of I-League-experienced youngsters available, Lajong will start as the overwhelming favourites to win their local league once again. Speaking about his team's title chances in the club's media briefing, head coach Thangboi Singto said, "To defend (our title), we need to play good football, compact and team football. The boys must remain fit and injury-free, and stick together in good and bad times." Singto stressed on the need to keep in check Rangdajied's offensive prowess in the opening game, saying, "Rangdajied is an experienced team and probably will play with a foreign striker. We need to stay strong defensively and not concede easy goals." In the absence of the more experienced players in the team, highly-rated midfielder Rupert Nongrum will wear the captain's armband for Lajong in the local league, while Nim Tamang, a mainstay in the Lajong defence throughout the last season, will take the role of vice-captain.